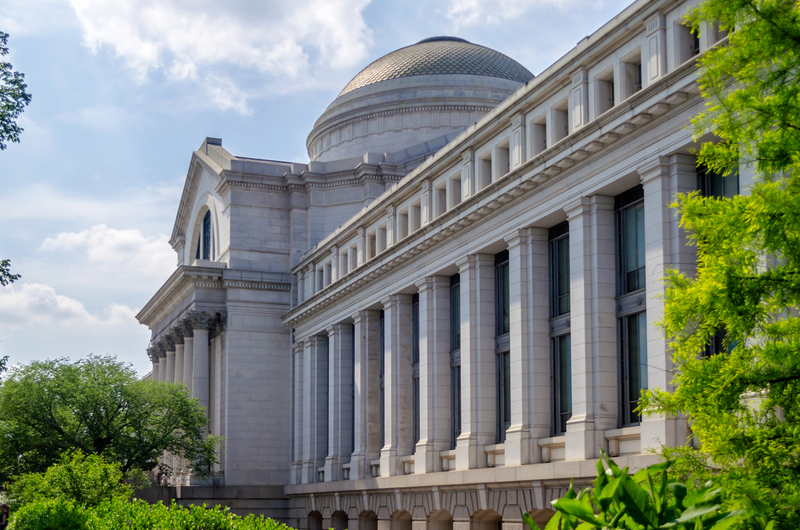 The Smithsonian Institution was established in 1846 and is currently the world’s largest museum and research complex. Consisting of 19 museums and galleries, the National Zoological Park, and nine research facilities, its mission is to shape the future by preserving our heritage, discovering new knowledge, and sharing their resources with the world. A number of Smithsonian museums and the National Zoo are free to the public and open every day of the year except December 25. From public art pieces, street, modern, experimental or contemporary art, viewing opportunities are endless this summer. The “Energizing the Everyday” exhibit focuses on the collecting vision of George Kravis in New York’s Cooper Hewitt museum, with more than 100 pieces on display dating from the early 20th century to the present. From industrial design to furniture to tableware and textiles, the exhibit creates visual and material connections across time and geography. The exhibit is available to view through March 2017. “Through the African American Lens” walks us into the dynamic history of Americans of African descent, showcasing the personal narratives of diverse families, organizations, and individuals throughout the Revolutionary era to the present. The exhibit highlights the monumental milestones that mark African American history and celebrates the achievements and contributions of individuals in the community that helped shape the United States. The Apollo program was designed to launch humans to the Moon and bring them safely back to earth. By the time the program ended, it had taken the efforts of more than half a million people, producing the most powerful and largest rockets ever built. “Apollo to the Moon” features a display of artifacts from Apollo (and earlier missions), including the F-1 rocket engine, spacesuits worn by the astronauts, a space flight time line, and more. Did you know that Hawaii was an independent kingdom until 1983, when non-Native businessmen conquered the monarchy and announced themselves the new government? “E Mau Ke Ea: The Sovereign Hawaiian Nation” walks us through the history of the Hawaiian nation, from the alliance of the islands in 1810 to the rise of the Hawaiian rights movement in the late 1960s. Visitors of the exhibit will leave with a richer understanding of the Kingdom of Hawaii, embracing western innovations and Polynesian identity. The Renwick Gallery opened its doors on November 2015 after a major two-year renovation. To celebrate, they transformed the museum into WONDER, their debut exhibit. Nine contemporary artists – Gabriel Dawe, Jennifer Angus, Chakaia Booker, Patrick Dougherty, Tara Donovan, John Grade, Janet Echelman, Maya Lin, and Leo Villareal – each managed different galleries in the building, creating installations inspired by the Renwick. These installations turned the building into a larger-than-life piece of art. Do you wonder what they created? The second-floor galleries closed on May 8, 2016; however, you have until July 10, 2016 to view the first-floor galleries.